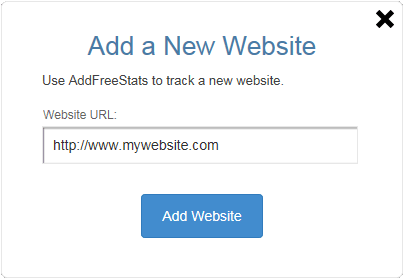 How to analyze a new website with AFS Analytics? It’s really easy to add a new website to your profile. 1. Select the option “Add New Website” in the “Account” drop down menu. Note: This option is also available in the “website(s)” drop down menu. 2. The “Add Website” form appears. 3. Type the entire URL of the website into the field labeled “Website URL”. Eg: http://www.mywebsite.com. Don’t forget to type the protocol part ‘http’ or ‘https’. 5. The website appears in ‘the website(s)’ drop down menu and in the ‘manage websites’ page. 6. You will receive a confirmation email with the detail of the new website account.